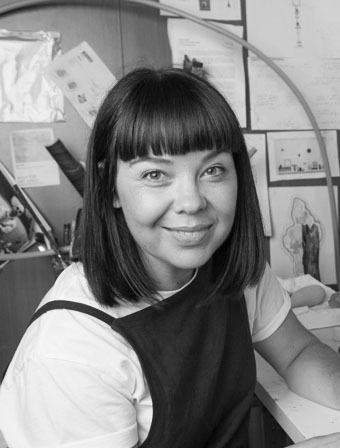 Melanie Upton is a Melbourne based artist with a multi-disciplinary practice. Her output spans sculpture and installation, ceramics, wearable objects and 2 dimensional work. Her work demonstrates a preoccupation with materiality, spatiality and form. As such her practice is heavily invested in material exploration, a response to or interruption of site and the investigation of objects and their narratives. Upton draws inspiration from the sites and objects associated with urban renewal and development. She is keenly interested in the processes, materialities and embedded histories that determine these built environments, her work is often site specific or process determined. Upton is a graduate of the Victorian College of the Arts and has exhibited throughout Australia. She is the recipient of the Dr Rosenthal Award for Sculpture, the National Gallery Women’s Association Award and the George Tallis Foundation prize. She is currently a member of Artery Studios.